China serves as a critical market for a wide range of global businesses. Particularly, as the automotive industry within China becomes the world's largest automobile production market. 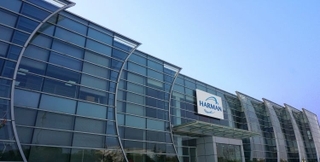 Today, HARMAN has a strong presence in China, where we are serving companies across the automotive, consumer electronics, and professional audio solutions space, and with a customer base that is growing exponentially. In 2017 alone, HARMAN China’s annual revenues exceeded $1 billion, representing 30% year-on-year growth. 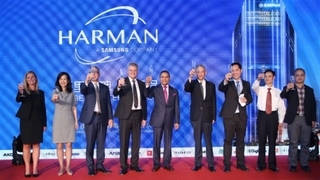 Dedicated to delivering high-caliber audio and connected car solutions, HARMAN takes pride in working with prestigious Chinese automakers including SAIC-GM-Wuling Motors, GAC Group, Geely Auto, Great Wall Motors, Beijing Benz Automotive Company, BMW-Brilliance Automotive Beijing Benz Automotive Company, and GAC Fiat Chrysler Automobiles, among others - to help deliver consumers in the region with an unprecedented in-vehicle user experience. With predictions that China’s car manufacturing industry will grow from $4.87 billion in 2016 to $10.5 billion by 2021, we at HARMAN are focused on further broadening our footprint in the Chinese market by continuing to expand our relationships with key Original Equipment Manufacturers (OEMs) and technology partners. 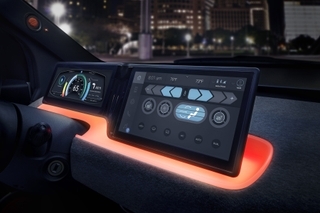 With these goals in line, HARMAN and Samsung demonstrated a host of unique connected car solutions, such as our 5G telematics solution, our open autonomous platform, DRVLINE, and our reinvented digital cockpit at the recently held 2018 Beijing Auto Show. 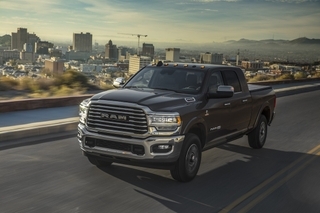 We also announced that one of China’s top OEM players, Great Wall Motors, selected HARMAN to deliver its Remote Vehicle Updating Service (OTA) in the automaker’s first connected vehicles that are launching in 2019. HARMAN has provided outstanding in-car infotainment systems to Great Wall Motors’ customers for several years. The extension of this relationship serves as a testament of our innovative partnership and how HARMAN delivers Chinese automakers with innovations that enrich the digital car experience. 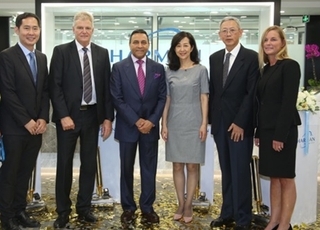 From our remarkable partnerships with China-based automakers to our world class manufacturing plants, HARMAN is committed to growing investments in China with an overarching goal of meeting the latest demands of the Chinese market. Over the years, we’ve proudly established four world-class R&D centers in Shanghai, Shenzhen, Chengdu, and Suzhou, and two manufacturing plants in Suzhou and Dandong, as well as many flagship stores and experience centers. In 2017, we celebrated the relocation of our Shenzhen office, allowing us to expand our R&D teams and integrate with the global business while attracting a growing number of employees. This year, we also announced completing construction of our Suzhou plant, which will allow HARMAN to double the existing production capacity.